Product prices and availability are accurate as of 2019-03-16 10:21:21 EDT and are subject to change. Any price and availability information displayed on http://www.amazon.com/ at the time of purchase will apply to the purchase of this product. Sporty Calvin Klein men's tracksuit shorts. 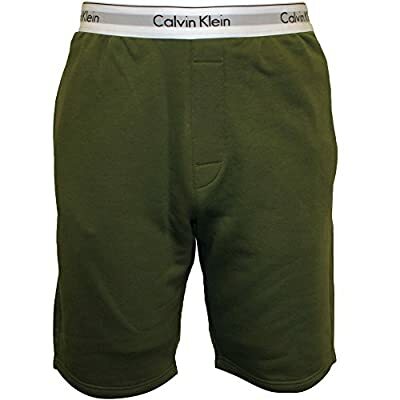 Calvin Klein's Modern Cotton tracksuit shorts in a fine khaki colour feature a classic Calvin Klein logo stretch waistband in contrasting white. 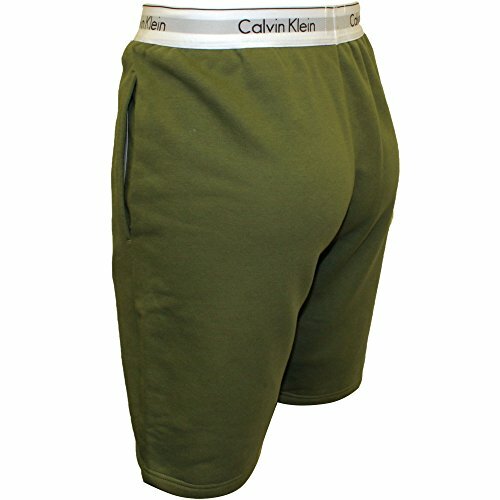 These medium-weight tracksuit shorts make for a great wear to team up with the matching sweatshirt or another Calvin Klein t-shirt. 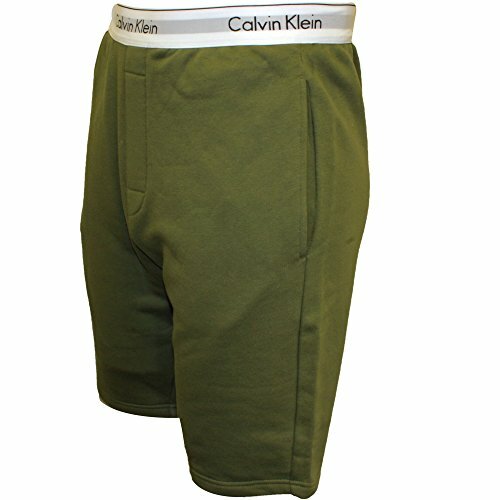 Lightly cuffed hem, elasticated waist and 2 side pockets at the front. Spring Summer 2018 collection.